Simon had invested into a rebranding project earlier in 2018 which had included redevelopment of the main company website. The branding and site had been finished to a high standard, however the main service based content on the site had been reduced, not highlighting the individual IT services the business offered. Unfortunately, this had a negative impact on ranking positions and resulted in no new enquiries being made from the website. 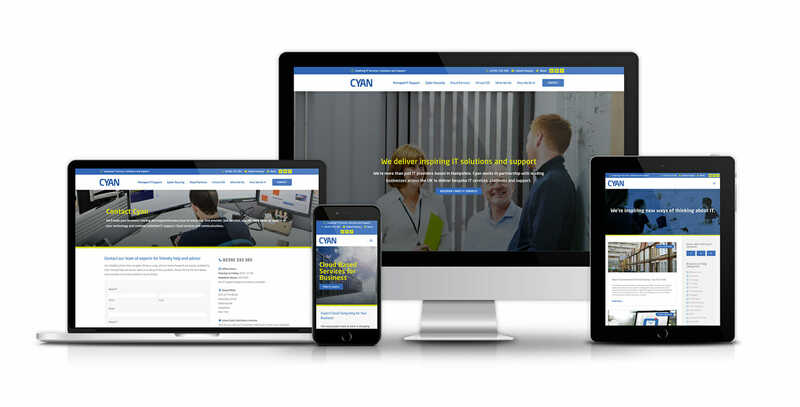 We had a no-obligation consultation with Cyan which included a website audit where we explained why the site wasn’t performing – generating more leads. We researched the keywords the business should be targeting and based the new site map on these, giving the website more opportunities to rank for service based keywords. We also added contact forms on the new site and more calls to actions. The new website matches the branding, is easy to navigate and has clear menu links to all IT services the company offers.